My daughter's bedroom has been a work in progress for over a year and a half now. Yep, with life getting in the way and not finding the right bedding it has taken a lot longer than we expected. I love details and love that my daughter has the same taste as I do. As soon as we both saw Emily & Meritt's first collection at PBTeen awhile back we knew we hit the jackpot! They are great fashion designers and have now translated their unique style into their home decor. 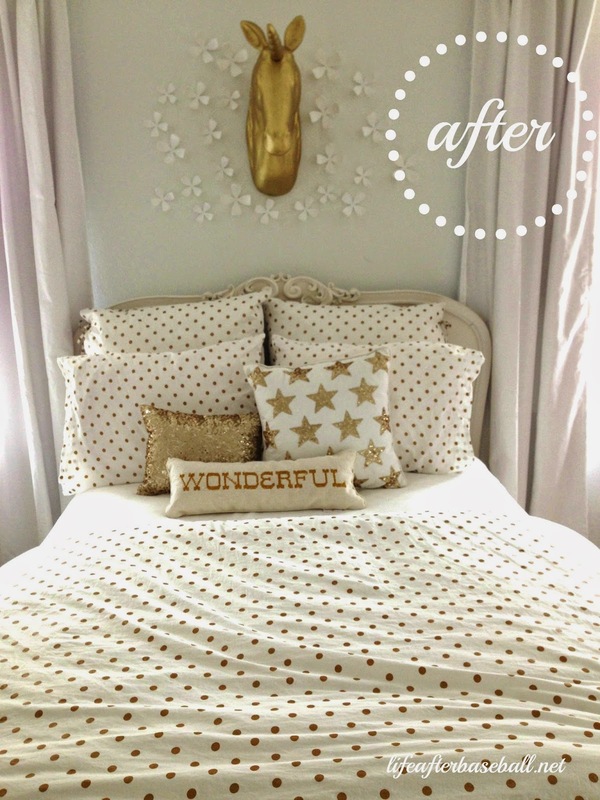 It has just the right amount of sparkle and whimsical flair that Ry was looking for. A gold, glittery music note that we found at an antique fair about three years ago and her black & white dress form were her inspiration pieces that we had to work around. I felt that her room should tell her story and I think we accomplished that. We have a few more details to complete but I took some pictures so you can see how we have made this collection our own. 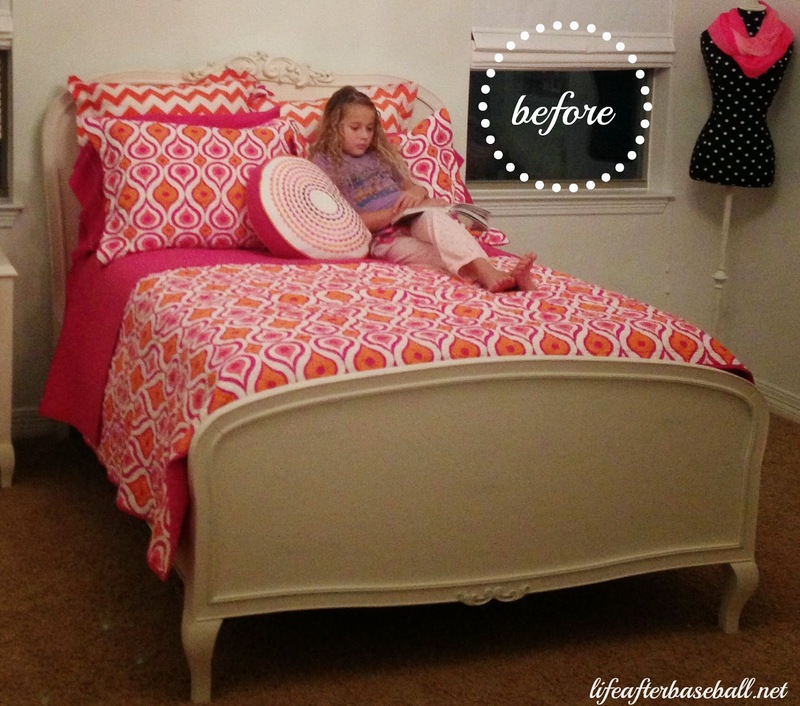 This bedding just flowed with her room. Looks so much better! Love that line - such great pieces. Nice work! I love your daughter's new bedding. The set looks perfect for her room. That wonderful pillow is adorable! 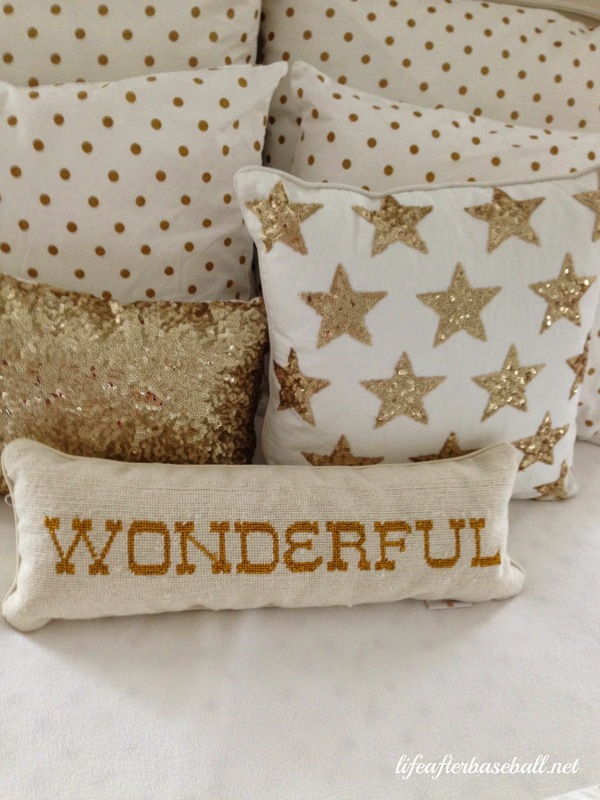 Love the gold and sparkles! I'm sure Ryan loves it! Good job girls! 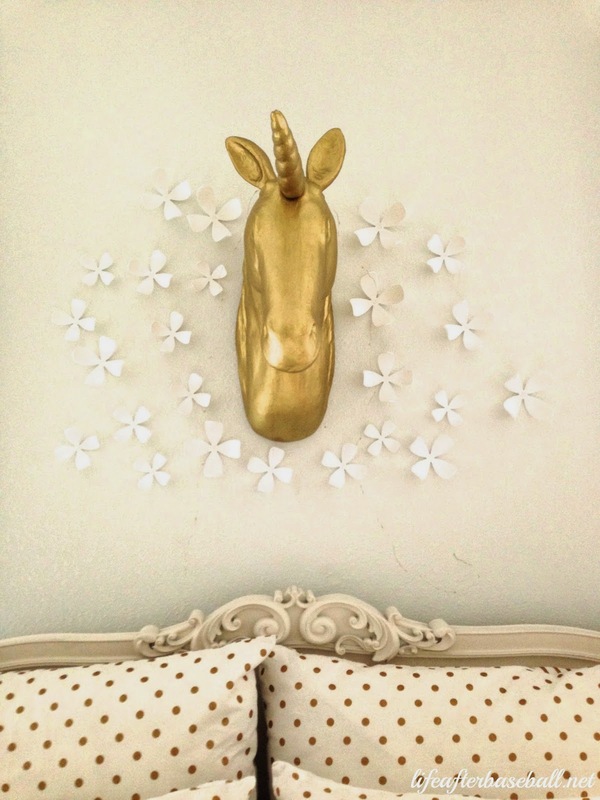 My daughter has been lusting after that Unicorn for a year!! I love it in your daughter's space. It looks great! Ps. I found you from Brandi's blog! Thanks everyone! We are so happy with how it turned out! Great transformation! Found you on Brandi's site love the blog! Beautiful transformation! I love the music note. Such an unique piece. 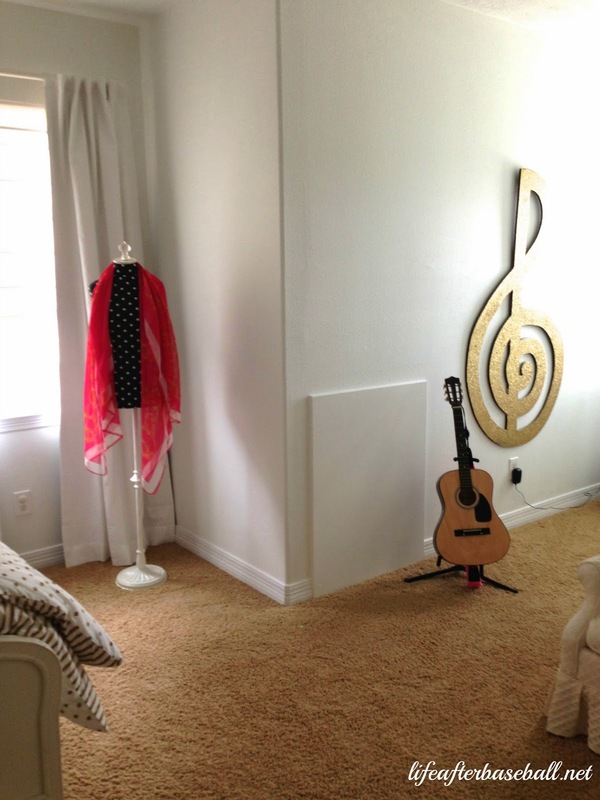 My daughter plays the violin and I would love to diy that for her room. I found you through Brandi!